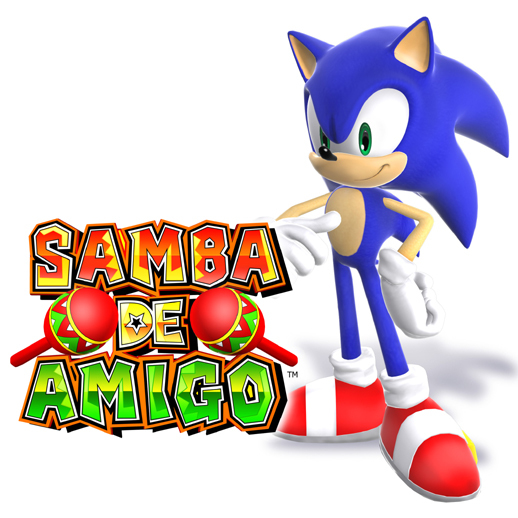 The Samba-inspired rhythm music game made popular in arcades and on the Dreamcast is shaking its way exclusively onto the Wii! 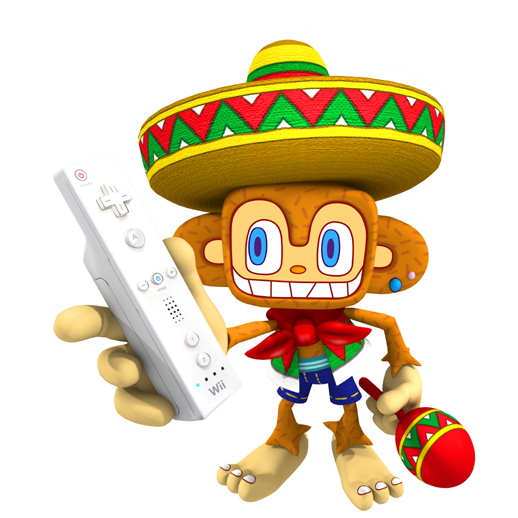 Grab your friends and shake the Wii controllers like maracas to the beat in a variety of crazy enviroments full of zany characters and colorful single and multiplayer modes that keep the party going. With a lively Samba-infused soundtrack packed with over 40 songs and additional downloadable tunes = Samba De Amigo is perfect for gamers of all ages. + The Samba-infused sountrack features over 40 upbeat, festive favorites from the original game, plus many new tunes including some current pop favorites. + Fun for two players in both competitive and co-0p multiplayer modes. + Using the Wii’s online capabilities, download new songs to keep the beat going strong. + Ability to play with either a Wii Remote and a Nunchuk or two Wii Remotes for untethred freedom. + Multiple game modes including Career, Single-Player, Multiplayer, Training, and Records. + Special modes expand gameplay with Quick Play, Classic, Battle, Survival, Hustle, and Mini-Games. 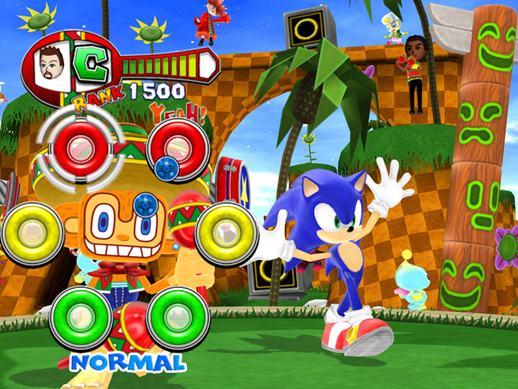 + Special SEGA Levels include beloved characters from past SEGA games. + High scores can be uploaded to global leaderboards and compared against all friendlist. Check the game out. I’m enjoying it!